Carry on your crime-fighting adventure with Michael Knight and K.I.T.T.! 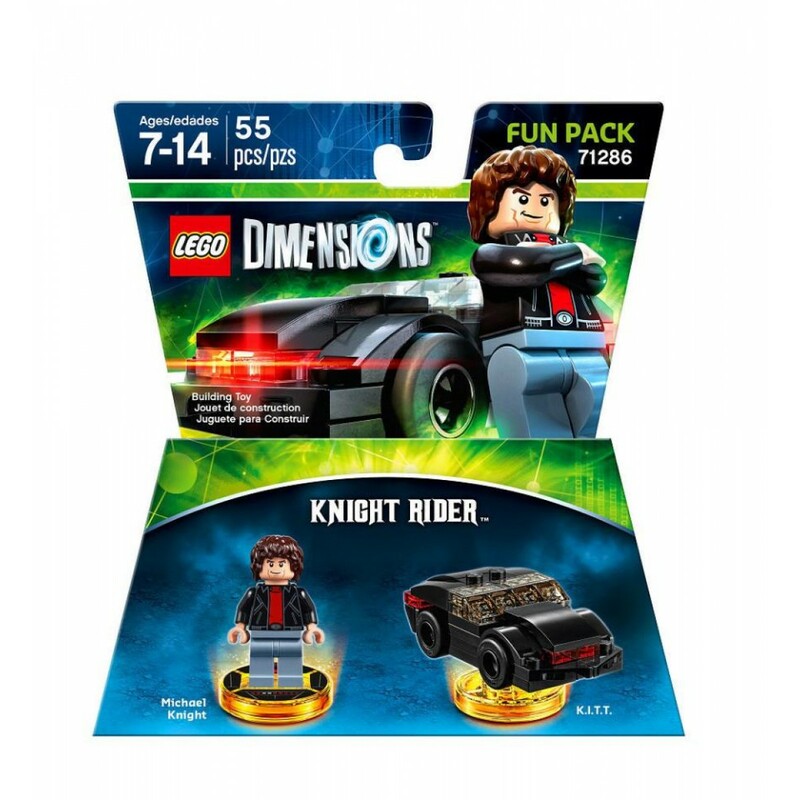 Fight crime on 4 wheels with Michael Knight and K.I.T.T.! Build the iconic duo and place them on the LEGO(R) Toy Pad to send them into the LEGO Dimensions multiverse. Unlock the exclusive Knight Rider Adventure World and Battle Arena, then play your way to victory with his dodge and dash abilities! Keep your scanners peeled and go for a spin with K.I.T.T., a highly advanced, artificially intelligent robotic vehicle, and rebuild it into the K.I.T.T. Jet and Goliath Armored Semi to turbo boost your crime-fighting adventures! Add more to your gaming experience with a new minifigure and a rebuildable 3-in-1 vehicle or gadget. Jump into an all-new Adventure World for a deep dive into your favorite locations, and challenge your family and friends in the 4-player Battle Arena! Knight Rider(TM) Fun Pack. 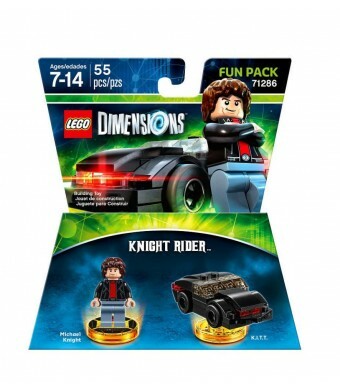 Fight crime on four wheels with Michael Knight and K.I.T.T.! Build the iconic duo and place them on the LEGO(R) Toy Pad to send them into the LEGO Dimension(TM) multiverse. Use Michael's Wrist Watch to uncover secrets behind x-ray walls and outsmart enemies by hacking into terminals and following trails. Unlock the exclusive Knight Rider(TM) Adventure World and Battle Arena, then play your way to victory with his dodge and dash abilities! Keep your scanners peeled and go for a spin with K.I.T.T., a highly advanced, artificially intelligent robotic vehicle, and rebuild it into the K.I.T.T. Jet and Goliath Armored Semi to turbo boost your crime-fighting adventures!